FRAZE GANG's roots go back 30 years, when vocalist / guitarist Greg Fraser and bassist Stevie Skreebs launched Brighton Rock; a popular draw on the hair band scene in Canada through the late 80s and into the 90s. The band split up in 1991, but Fraser and Skreebs were anything but idle; saving their energy until the time felt right to unleash some new music. Recruiting drummer Phil Epp, the trio laid down 13 tracks for what would become FRAZE GANG's self-titled debut in 2008 on Bongo Beat. 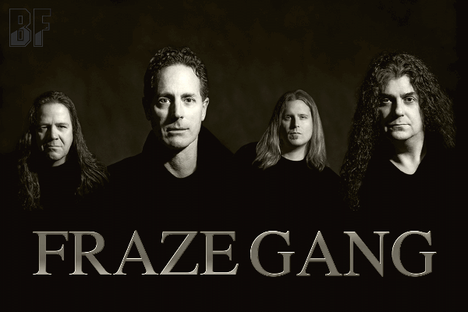 And the 13 song arena rock record established FRAZE GANG as a full-on no-nonsense band with old school 80s values. 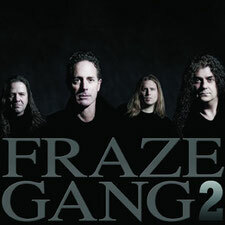 FRAZE GANG "2" was released in June 2012 and a follow-up that is considerably heavier than what some people are expecting. From the Judas Priest-flavoured opener Saint Or Sinner to the brazen Brighton Rock-ishness of White Lightning to the AC/DC vibe of Tough Enough, the album is a both a nostalgic trip and a bold reminder of what real rock is all about. It is available on good online stores in your country.